Aside from gaming skills, one must not be named as a real gamer if he/she has no any gaming peripherals. However, for a beginner, buying stuff such as keyboards, mouse, and headsets would cost an arm and leg most especially when they prioritize upgrading their PCs. Good thing, there are some brands that offer affordable gaming gear like Rapoo. 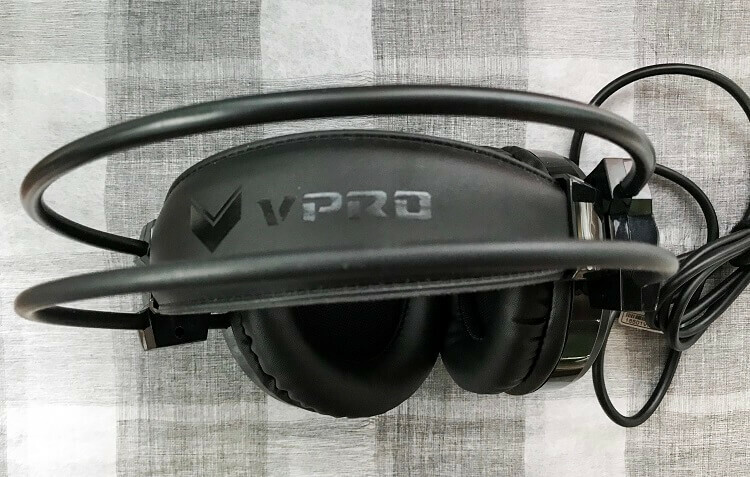 Recently, our team received a Rapoo VPro VH200 Gaming Headset to play around with. Considering its price, the device was able to impress us with its quality and flexible usage. Let’s dig deeper and see if it could be your gaming buddy! The Rapoo VH200 comes in a black box that has a large render of the headset. Once you see the device, you would notice its bulky size and sturdy body – similar to other gaming headset. Users won’t enjoy bringing it anywhere as a typical headset, but of course, portability wasn’t the thing you’d expect for a gaming headset. 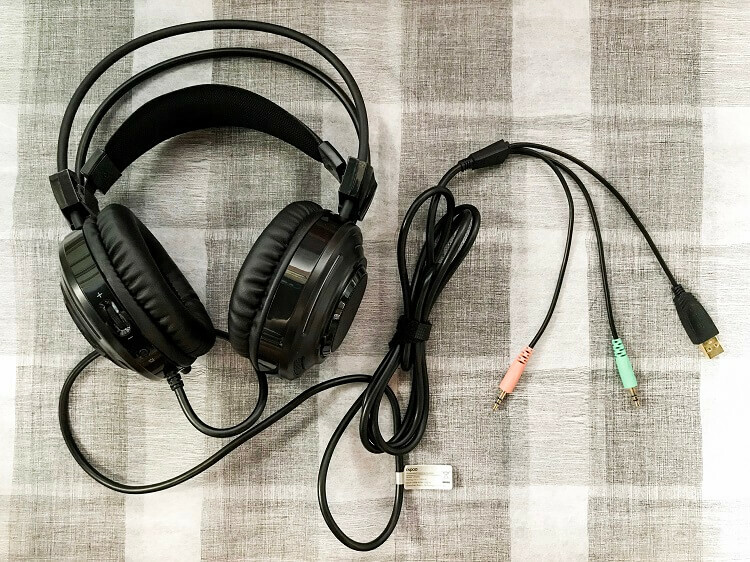 Speaking of convenience, the VH200 is a wired headset that has three cables which connect to the audio port, microphone, and lighting. Hence, it won’t allow you to remove these wires while using it. While we have no issues about this, we just felt like we’d appreciate it more if it also offers Bluetooth connectivity. Dressed with PU Leather, the headset is soft and comfortable to the head and ears. We used it for a long time, and we never got irritated with sweat and any prickling. Although it has a bulky size, the device gave us complete comfort when using it, thanks to its adjustable padded headband that makes its stable every time we're using it. 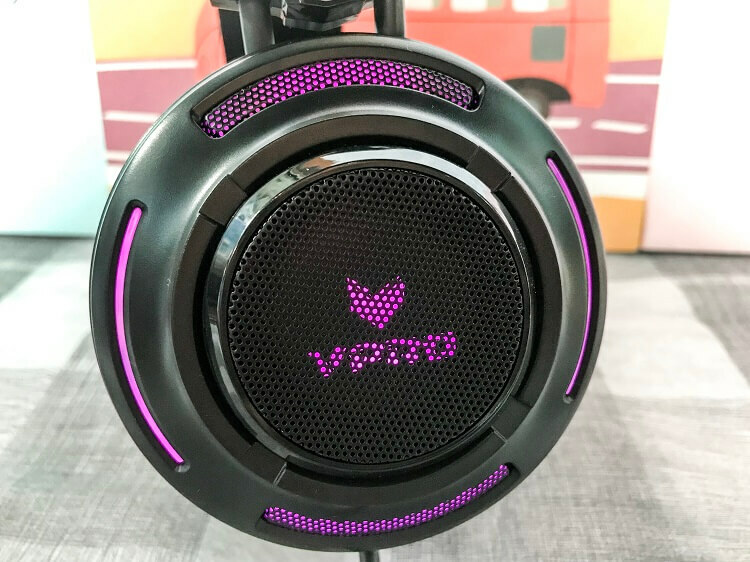 The VH200 has large earcups that support over-ear design. Both are comfortable although it fully occupied our ears. The left side welcomes its function keys including its volume rockers and light button. Its omnidirectional microphone is also located on its left clamp. It can be hidden when not in use, while you can simply pull it out if you’re going to use it. One of its key selling points is its RGB lighting. Of course, if you’re a new gamer, one thing that could satisfy your gaming needs is an RGB device, as it gives cool vibes while it matches your game. The VH200 features 16-million colors breathing light. It has color cycle mode, too. And since it works as a wired device, we didn’t have to install any software to enjoy this feature. The downside? You have to manually choose a particular color by pressing its lighting button. If you’re very precise with your color scheme, it would definitely take time to get the right mix. The VH200 allowed us to have an immersive gaming experience. With its noise-isolating over-ear design, one could really enjoy playing games without any distractions. You can even complement it with its noise-cancelling microphones, which would deliver a clear voice even when it’s retracted into its base. Honestly, its mic is our favorite feature, as it has an impressive performance that exceeded our expectations. Although named as a gaming headset, we also used it for listening music and for video chat. Surprisingly, it didn’t let us down as it has good sound quality. During the test, we listened to songs with different genres and we didn’t encounter obvious sound distortion. However, for a smooth quality that’s still healthy for your ears, we recommend users to avoid putting its volume at its highest level. At this price point, you’d truly appreciate its sound quality although it’s not as powerful as other high-end headsets that have rich surround sound and bass. Rapoo was able to give a decent gaming peripheral through its VPro VH200 Gaming Headset. Armed with essential features you'd need for gaming, the VH200 would be a great device to accompany you on your first gaming experience. This is actually good for beginners who just started playing, and decided to invest on his or her peripherals. 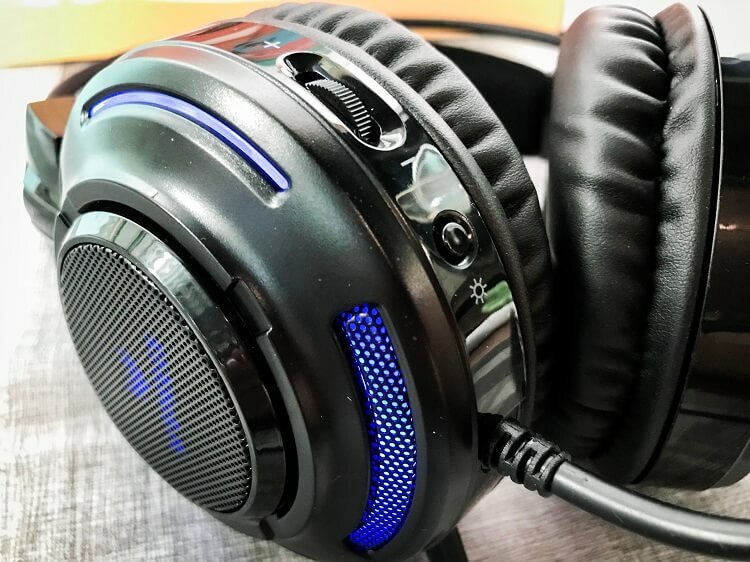 Although it isn't great as other expensive headsets, still, the VH200 would satisfy your gaming needs as it could deliver everything you need to hear. Also tapped as our main headset, the VH200 also let us enjoy listening to songs with different genres. It has no obvious distortion, though we still prefer to not put it on its highest volume. Its noise-cancelling mic works well throughout the test, too. Moreover, the VH200 can even match those pro gamers who are currently on a budget. 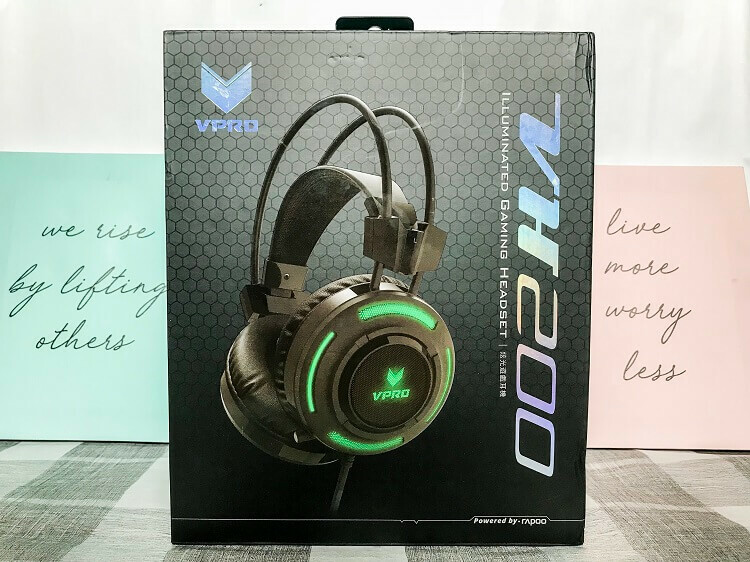 One of the best gaming headsets at this price point, consumers can score the Rapoo VPro VH200 for only Php1,495.